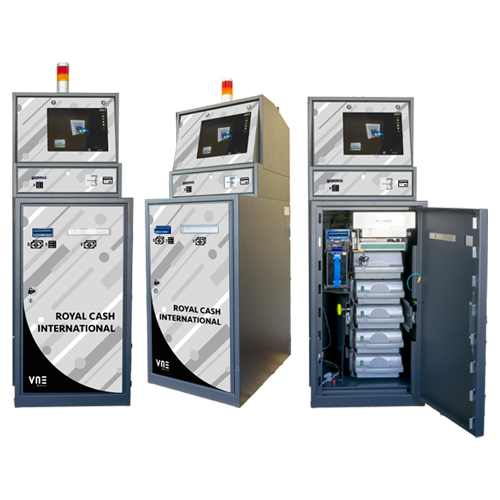 Royal Cash is a large machine with a PC platform designed to handle money, tickets, cards and bets inside gaming halls and Casinos. 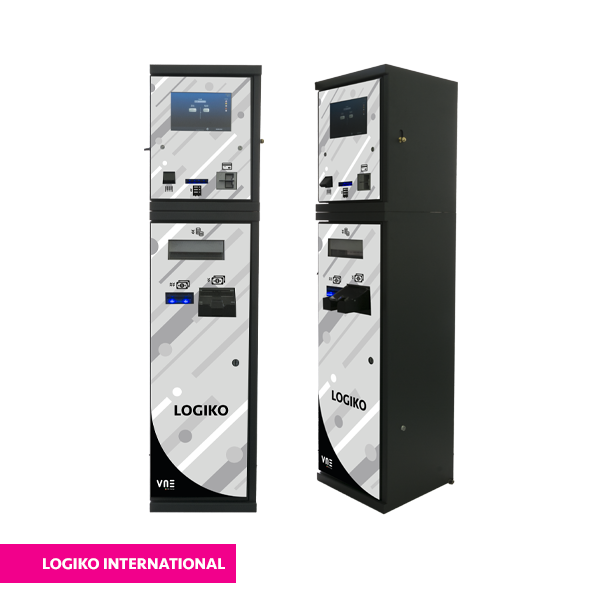 Highly modular and configurable this machine can, depending on the configuration chosen, handle in-going banknotes with a simple banknote and ticket deposit or via a banknote recycler. In a smart optional fixture separate from the main body, 4 high capacity belt driven hoppers operate and manage to complete payments to a high degree of accuracy, right down to the last cent. Supporting the deposit or banknote recycler, Royal Cash, for payment of winnings in banknotes, uses a banknote dispenser with 4 high capacity drawers which can hold up to 8000 banknotes which are dispensed in packs using a bunching system. 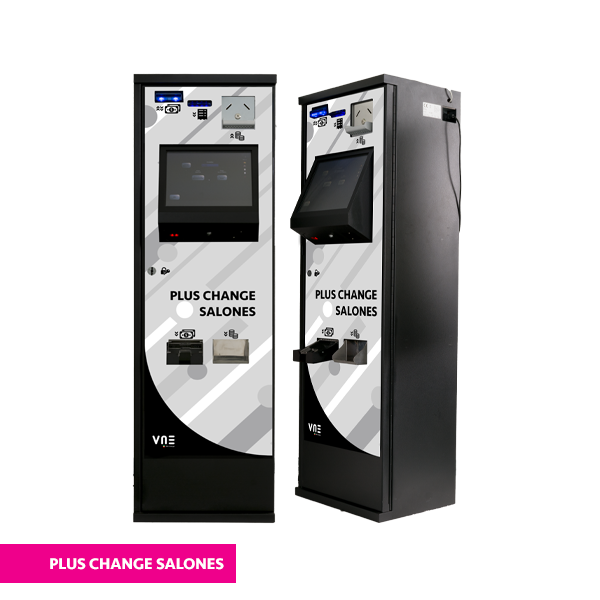 The machine can therefore accept tickets to be paid in banknotes and coins as well as accepting banknotes in order to dispense tickets, and in addition it can load and take off credit from player cards in banknotes or coins. 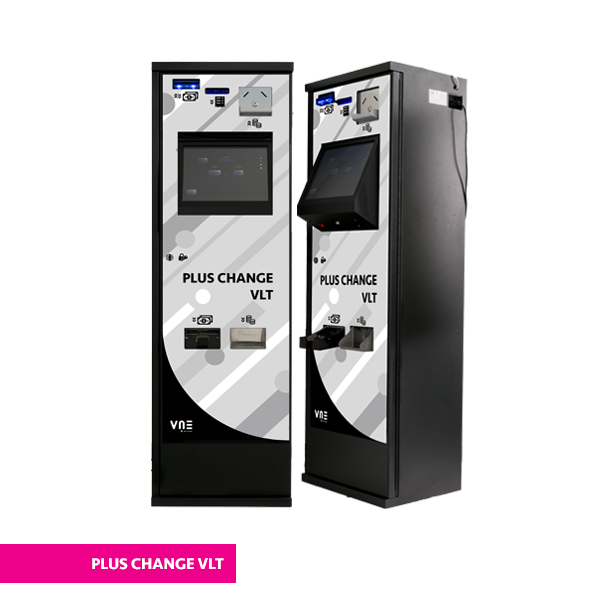 It is also possible to fit this machine with a POS which can be directly connected with the bank circuit in the same way that an ATM works. 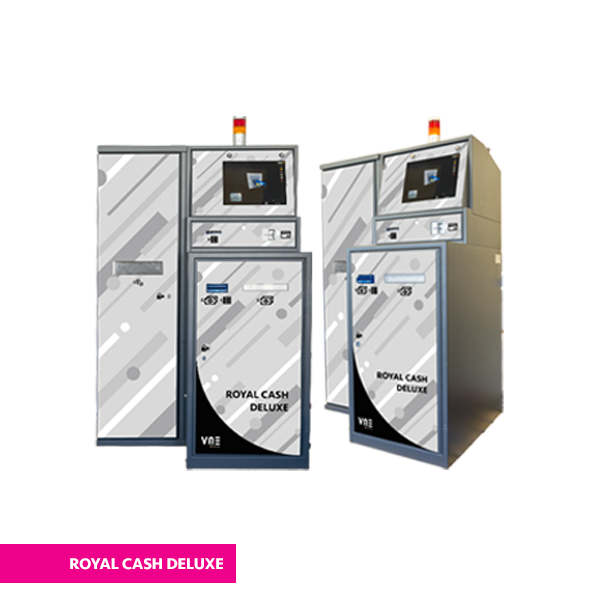 Royal Cash furthermore has a Bill Breaker function and provides users options of dispensed notes or coins both for receiving winnings and for Bill breaking. 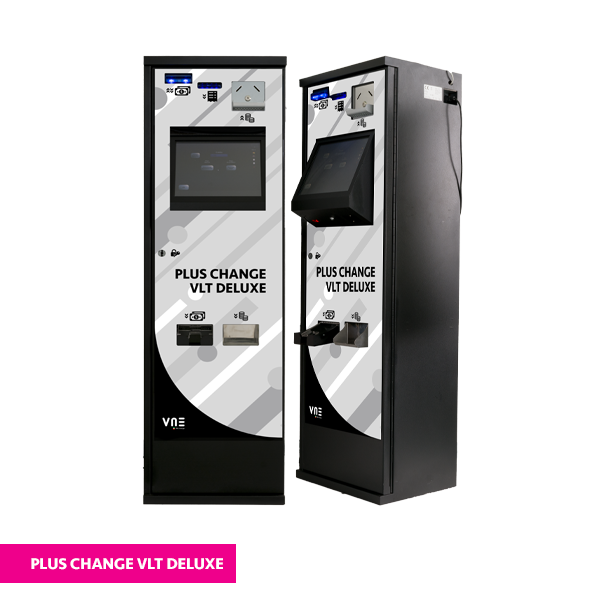 This machine can also be used as a currency exchange, capable of accepting certain countries’ currencies to change them into other currencies using the online exchange rate or rates that can be set by the system. Fitted with a bar code reader, Royal Cash can also pay out for bet winnings by connecting to the system of the provider. Royal Cash is also able to handle Vouchers or generate tickets bought by a customer which can be spent inside the gaming hall for example on a betting totem or devices which allow play with electronic money systems and furthermore it is obviously able to re-accept these vouchers to change them for banknotes and coins.Opening the main door is controlled electronically and can only be activated on recognition of an authorised personnel badge and can also include a time delay as an extra anti-theft security measure. Access to the menu can also only be authorised on recognition of operators and various levels of access and functions can be set. In addition operator badges can be used as a card that can be loaded with a capped amount of money that the authorised operator can then be dispensed from the machine. The machine can be connected online via ADSL and can be managed and controlled remotely through a website or an extremely easy to use App. 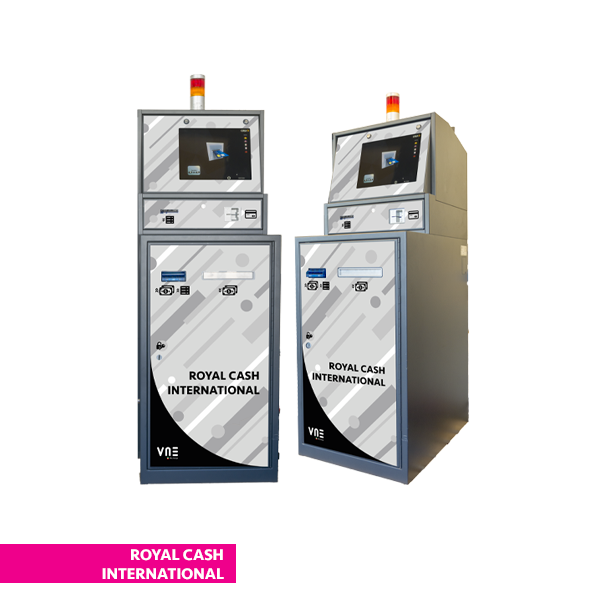 Royal Cash international has a classic design which is especially designed with consideration given to ergonomic heights for inserting and dispensing money. Its plexiglass cover on the front door panel can be customised with various colours and logos.